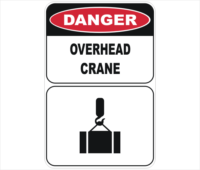 Crane Overhead Sign - Crane Working Overhead Sign - Online sales Aust. 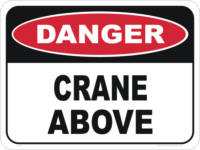 Combination Crane Overhead Sign and pedestrian sign. 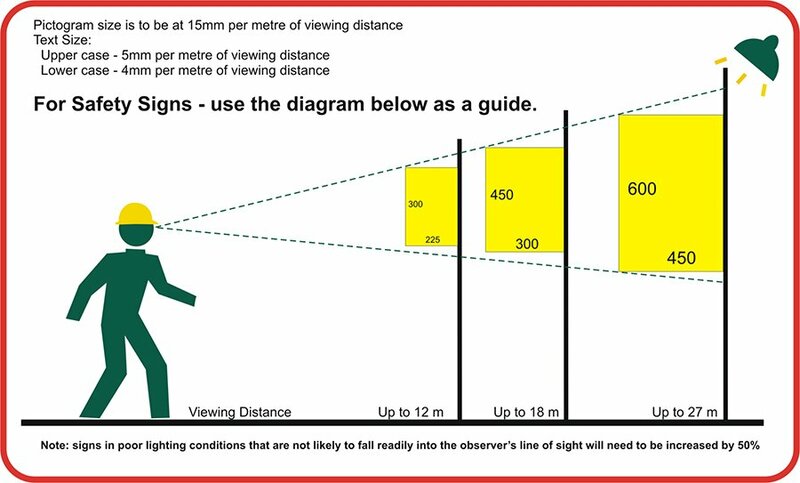 Select the size that can be seen from a safe distance. 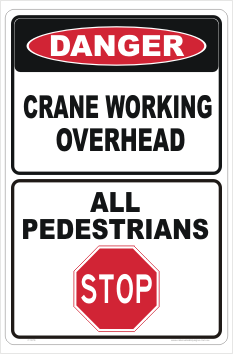 A combination of a Crane Overhead Sign and a pedestrians stop sign. 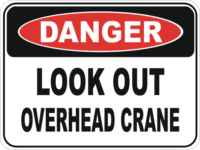 This Crane Overhead Sign is designed to warn people about the danger of the Crane Overhead. 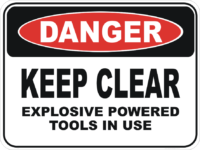 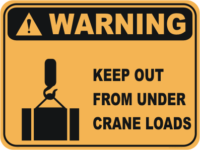 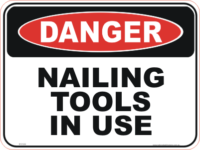 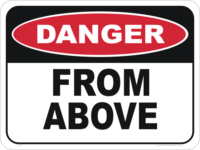 Use this Crane Danger sign in areas that there are cranes such as gantry cranes and Building Site cranes.